DURHAM, N.H. - As winter in New England seems to get warmer, fall lingers longer and spring comes into bloom earlier, areas like northern New Hampshire and western Maine are seeing an unusual continued increase in winter ticks which are endangering the moose population. 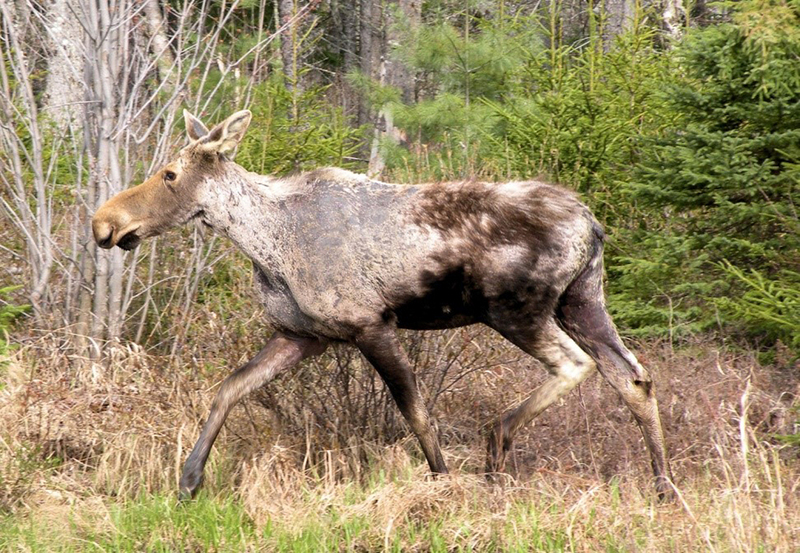 Researchers at the University of New Hampshire have found that the swell of infestations of this parasite, which attaches itself to moose during the fall and feeds throughout the winter, is the primary cause of an unprecedented 70 percent death rate of calves over a three-year period. Co-authors include Henry Jones and Daniel Ellingwood both of UNH, Lee Kantar and Matthew O'Neal of the Maine Department of Inland Fisheries and Wildlife, Inga Sidor of New Hampshire Veterinary Diagnostic Laboratory at UNH, and Anne Lichtenwalner of the University of Maine Animal Health Laboratory. https://www.unh.edu/unhtoday/sites/default/files/media/ghost-moose-photo.jpg Known as "ghost moose," this adult moose illustrates typical hair loss associated with high loads of winter ticks. The increased frequency of winter ticks in northern New England is linked to climate change in the form of longer autumns with later snow that lengthens the winter tick season. Photo credit: Dan Bergeron, N.H. Fish and Game Dept.